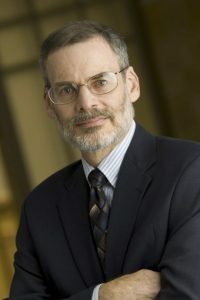 A development economist with more than 40 years of experience as a professor, policy adviser, project manager, and international consultant, Dr. Bruce Bolnick worked with Nathan from 2003 through 2013 as Chief Economist for the International Group, and since 2014 as a consultant and Senior Advisor. At Nathan, he has served as Chief of Party for the Zimbabwe Strategic Economic Research and Analysis Project (SERA) and the first Country Analytical Support project, directed several field projects, and authored or coauthored dozens of policy studies. Earlier, Dr. Bolnick spent more than 12 years working in Africa and Asia, including posts as Chief of Party or Economic Adviser in finance ministries and central banks in Indonesia, Zambia, Malawi and Mozambique. Dr. Bolnick has taught economics at Harvard (HIID and the Kennedy School), Brandeis, Northeastern, and Duke Universities, and at the University of Nairobi. Dr. Bolnick has published three books and dozens of professional papers. His technical work for Nathan has included: The Programming for Growth series for USAID; Economic Performance Assessments for 16 countries; studies on financial sector reform in Angola and Mozambique; numerous studies on tax reform, including the effectiveness of tax incentives in Mozambique and in the SADC region; a study on labor market adjustments to trade liberalization; and most recently a report on Strengthening Macroeconomic Policy Management in Myanmar.